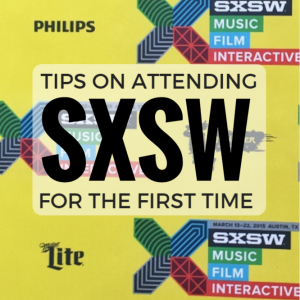 Tips for First-Time SXSW Attendees - JP loves LIFE! 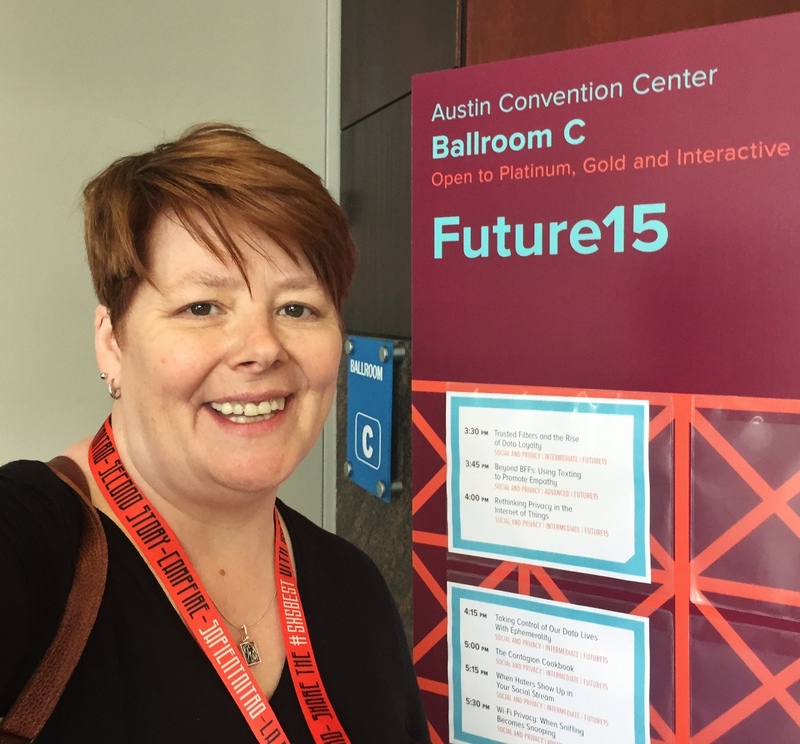 For the last couple of years, I have been able to attend South by Southwest (SxSW) with work. First-time SxSW attendees can look shell-shocked. 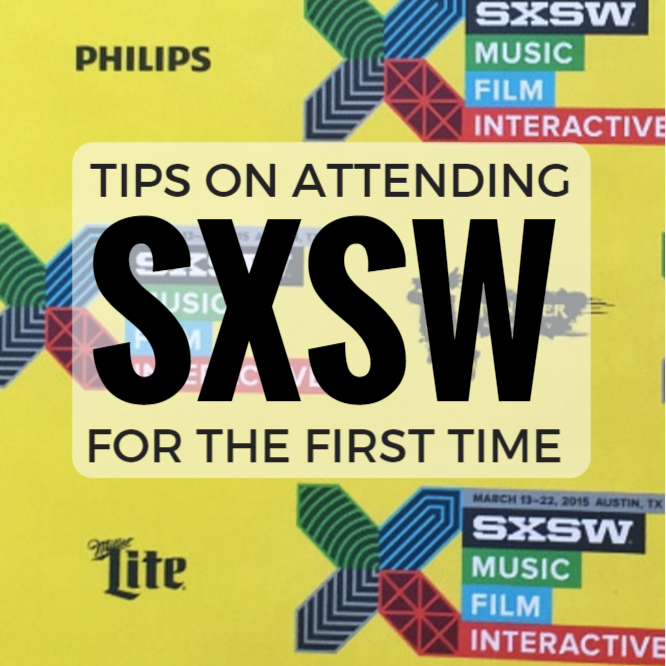 Each year I have learned a bit more about how to make my SxSW experience successful. And as I asked in a blogger group if others would be going, someone asked me to share those tips…. so here I am writing! For those who hear South by Southwest and aren’t sure what it is about, it is a 10-day festival of interactive technology, music and film. And great things can emerge when you bring that many creative people to one place. There are sessions where you get to hear from people who are in the news all the time as well as people who have new ideas that need to be heard. 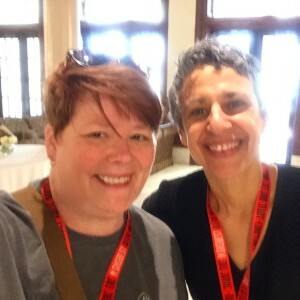 (Last year I was lucky enough to take the mic to talk about how I deal with controversy online and was included in this podcast including various perspectives on SxSW.) This is the 30th year for the festival which is always held in Austin, Texas. First above all else, make plans as early as possible! Close to half a million people will be at SxSW, so thinking about what you want to do sooner rather than later is a good idea. Besides, there are early bird specials on registrations that make it easier to afford (though it is still not cheap!) And hotels, air bnb, etc have amazing advance times to find a place to lay your head. It would be great to spend the full 10 days in Austin if you have unlimited money AND unlimited energy. Energy is something I normally have a good bit of however, I have to say the crowd of people, the constant sounds and movement…. Well, even an extrovert like me needs to choose what to do, what to pass on and sometimes step away! It is good to do some of the things that are new in the area you are most passionate about but I have learned a whole lot by extending myself into things that weren’t my normal thing. I look for speakers I want to hear & reach out to a few so we can meet up. Last year I met Tamar Haspel who writes for the Washington Post (photo at right). Work through the app some more and favoriting some sessions & events. Don’t plan too many things but have quite a few ideas and a few top priorities. You’ll be bummed if you don’t prioritize a few things cause time vanishes walking between venues. 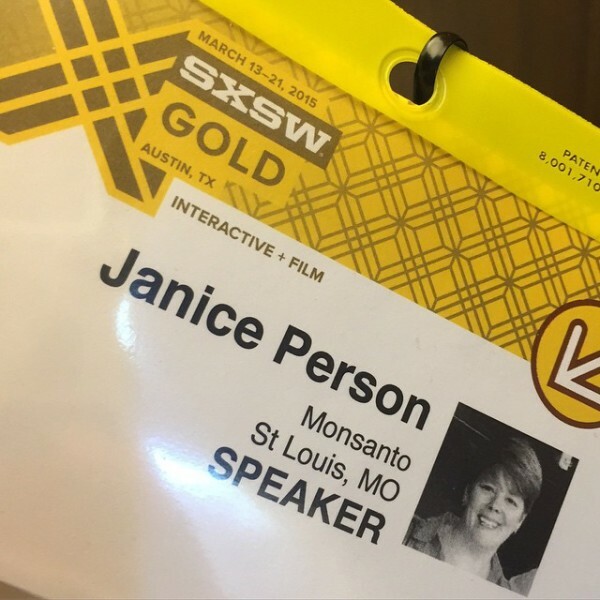 I have to admit, I had thought it would be awesome to speak at SxSW but wasn’t sure I could make that happen. If you are in the same spot, start thinking now about ideas that should be presented. Check to be sure it isn’t something that has been already a few times, etc. Watch the website cause proposals go in sometime in June or July and the process is detailed and needs to be followed closely. Lines get really long for some of the talks, concerts and films that are part of SxSW. Grab a place on the carpet and get to know whoever happens to be in line next to you. Find out some things about them and what brings them to Austin. Love some of the stories I’ve gotten this way and I even got a gift card from a brand rep I chatted up! From top left — hanging out with Olympic athlete Katie Uhlaender, a local band playing on the hotel rooftop, visiting the NASA booth, a cozy concert by John Legend, agriculture & Brian Scott @thefarmerslife on the trade show floor, Gus’ fried with Alan, goofin’ with actor Colin Hanks, party with Peg FItzpatrick, sitting in at Legend’s piano, chillin with Sir Mix-a-Lot. Take a couple of pairs of really comfy shoes. You walk a lot everyday and a fresh pair of shoes gives you a new leash on life! Know there are tech geeks beyond geek levels you’ve ever known existed. Get to know some of these smart folks! Casual clothing is the way to go. It frequently rains, is almost always hot and you keep going all day & all night so comfort is the way to dress. I go casual — jeans, t-shirt & sneakers with a jacket in my small backpack or bag cause air conditioning can get to you. Restaurants and food trucks do everything they can to stay on top of things but the lines can be really long. Sometimes it is better to just eat a protein bar so put a couple in your backpack. Have a water bottle too. Have a bit of space open in your suitcase… there may be a few things you want to pick up. Be ready to bring how swag if you want it…. there was some good stuff I wandered upon now and then. Have business cards on hand, you will want to stay in touch with some of the awesome folks you meet. Use the SxSW app. It includes the schedule, social connectivity, etc. Check it out before you go and browse the list. Reach out to some folks you really want to meet up with before you get down there. It’s amazing how fast time flies once you are on-site. Carry backup batteries, cables, plugs and recharge when you can! Amazing how fast batteries drain. Take notes on your phone or wherever…. you will be overloaded and forget a lot if you don’t! If you want a few more tips, check out these ideas on how to get the most out of a conference from my friend Colleen Newvine. Great list, Janice — that was fast! You covered a lot of ground. I sure hope to get there next year. Better make my hotel reservations next week! They have all hotels through SXSW… Rooms can only be reserved with a registration badge which means you have to jump on it the minute they go live in August! Happy to see that we have a lot of tips in common, Janice! Will you be heading there again this year? Jealous that you got to catch John Legend in concert last year! !